On Friday the 11th we were able to wrap up the soybean harvest for the year. It took over a week to get the last 200 acres harvested as we battled with the moist air. It was not wet enough to halt tillage and other field work but the humidity allowed only for a few hours of dry bean cutting each day. On Sunday the 6th we tried cutting them every hour starting just before noon. They finally dried to below 14% just after 4 o’clock. After the sun went down, by 5:30, they were too wet again. It made for a frustrating finish but the overall bean yields surpassed both our five year average and last year’s results. We have almost all of our planned fall tillage complete and approximately one more day of spraying to finish fall herbicide applications. 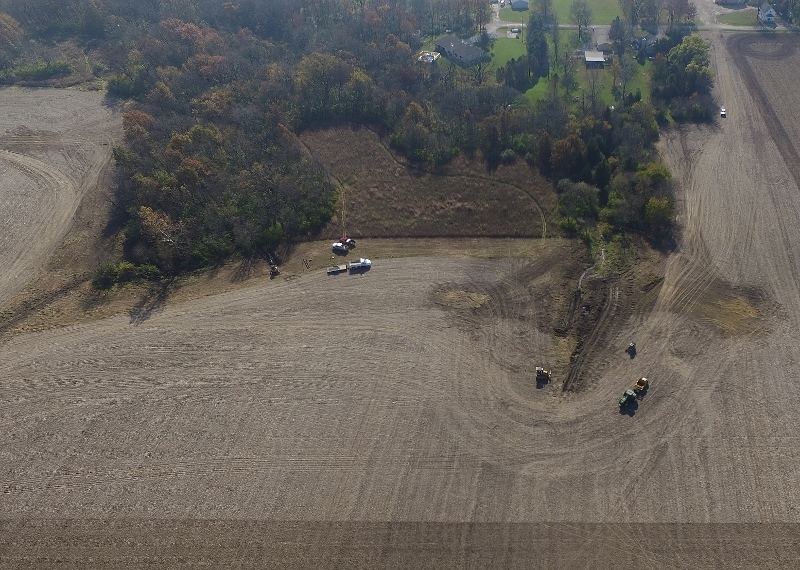 Other things we are working on include the pollinator/CRP seeding projects and a new terrace/surface drainage system on the Guthrie Farm. Plans are well underway for next years crop. We are looking at our test plot data from this year to determine what improvements we can make to our cropping system in the coming year. One area we plan to focus on is better management of our soybeans. With our increase in bean acres for 2017, we are going to a have a second narrow row planter dedicated to planting beans, hopefully improving our ability to get them planted in a more timely manner. We will also be using new products to suppress soil born soybean diseases.